This ladies chronograph watch has a great look with a 34mm polished silver stainless steel case. 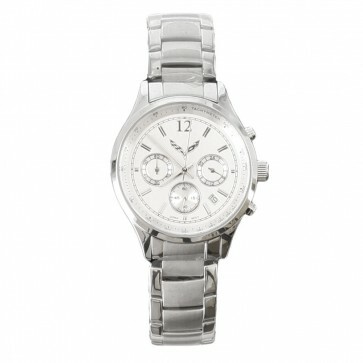 It features a domed mineral crystal, date display, and wrapped-edge steel bracelet. C7 crossed flags printed on the dial. Water resistant.